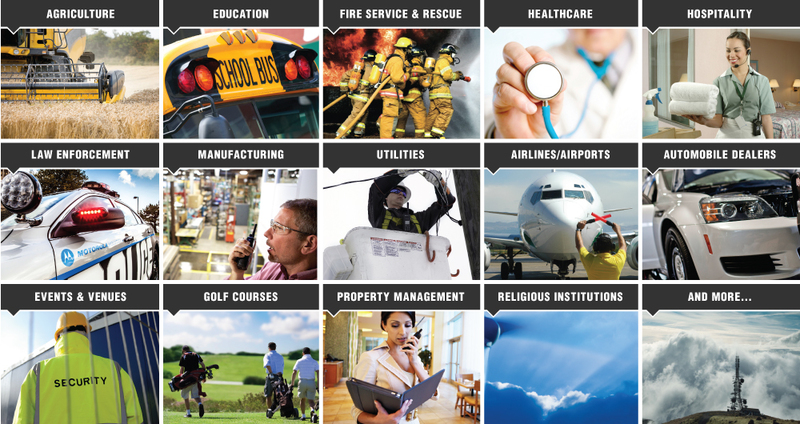 For over 25 Years Electrocomm-Michigan, Inc has been called upon by some of the nations finest business organizations and public safety entities alike to provide application specific communication solutions. From simple battery, accessory, or replacement parts, to needs analysis and design, to installation and operation, to training and support, EMI has the experience and dedicated staff to manage the entire lifecycle of your communications system – big or small. At Electrocomm our customers come first. Whether it's an emergency repair for a public safety customer, a rush equipment delivery after hours or on a weekend, or a simple inquiry - we'll do what it takes to finish the job to your complete satisfaction. We do this because we value our customers and the relationships that have been built over the years. We strive to go the extra mile in every customer interaction by providing timely, professional, pleasant service. 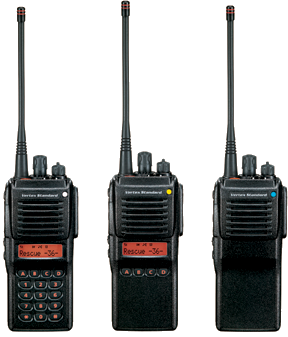 We are proud to sell and service only industry leading manufactures, including: Vertex Standard, Motorola, Hytera America, and Kenwood P25 Government and Business Products. 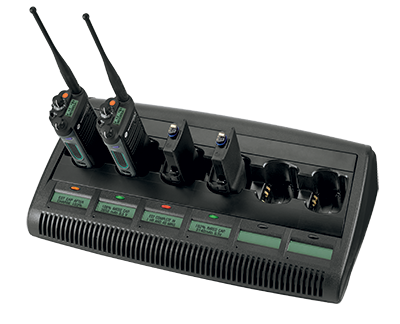 Electrocomm-Michigan, Inc. is a full service two-way radio dealer specializing in the design, integration, and maintenance of wireless voice, video, and data systems for a diverse customer base including local and state government, public safety, Educational institutions, transportation, utilities, healthcare, hospitality, and manufacturing. Centrally located in Oakland County – EMI can meet you wherever your communications needs arise! With our mobile fleet of factory-trained and certified field service technicians, you can be sure that all of your installation, service, and repair work will be performed in a timely and efficient manner. 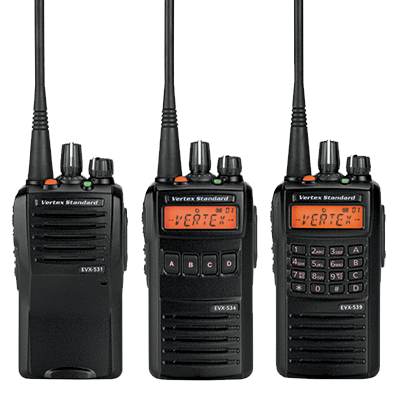 In addition, our factory-trained and certified bench technicians can perform service and repairs on virtually any make and model of 2-way radio equipment. Also, be sure and ask us about our EMI Service Agreements. If you have never considered a Service or Maintenance Agreement for your 2-way radio equipment, call us today for a free quote. If you already have an agreement with another company, call us and at least let us show you what you should be getting for your money! Electrocomm carries a wide selection of products covering the categories below and more. Motorola IMPRES Batteries feature automated battery maintenance that extends the life of your battery. When a business needs rush deliveries to arrive at their scheduled destination or when a firefighter maneuvers through blinding smoke, there is only one battery they trust to extend the performance of their two-way radios. For 10 years, IMPRES radio batteries have been there when it mattered most. 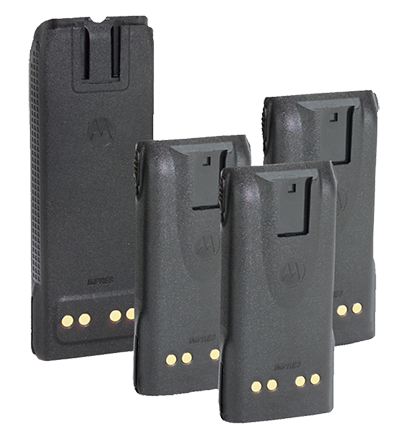 Motorola’s innovative IMPRES battery charging and reconditioning system streamlines and automates battery maintenance. 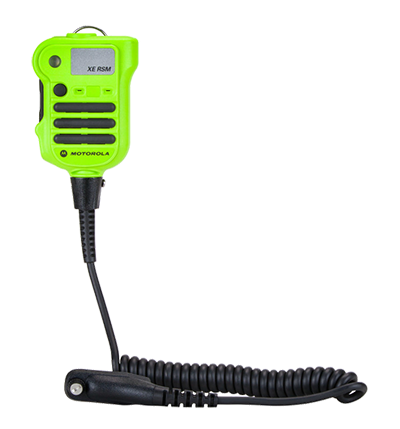 IMPRES radio batteries and chargers communicate to help lengthen battery life and extend talk time, so you can be assured your radio battery is ready when you go out on a call. Through the use of advanced charging algorithms and automatic reconditioning, the IMPRES Smart Energy System ensures maximum talk-time and optimized battery cycle life. This smart energy system automatically reconditions IMPRES batteries based on actual usage, keeping them in peak condition. Talk-time and cycle life are optimized and the need for manual maintenance programs is eliminated. In addition, batteries left in the charger are kept fully charged so they are always ready when needed. This rapid-rate, tri-chemistry charging system will also charge compatible non-IMPRES batteries. The XE RSM features a strobe light that activates when the emergency button is pressed, casting light up to 10 feet in thick smoke. And if the RSM gets sprayed with a hose or dropped in a pool of water, you’ll see what rugged specs (IP68 submersibility) and a unique water-draining speaker design really mean. 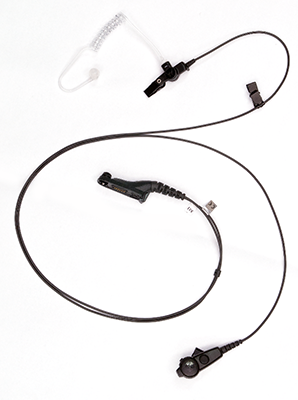 To protect your RSM from extreme heat, Motorola offers the Xtreme Temperature Cable with a melt temperature of 500ºF. 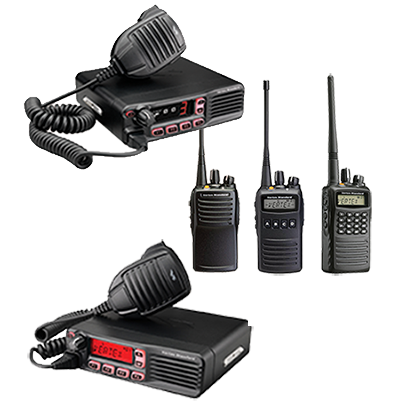 Electrocomm-Michigan, Inc. recognizes that with the ever-evolving needs of today’s fast paced business climate, purchasing radio equipment isn’t always the best option. Electrocomm-Mi provides both short-term rentals and long-term rent/lease agreements. The best part of our rental inventory is Our People. At EMI we have rental professionals available for the exclusive purpose of providing your company or organization with state-of-the-art communication equipment along with the highest level of customer service available! Ask us about our Wide-Area Airtime Solutions! Electrocomm is proud of its heritage, serving the businesses of Michigan for over 25 Years! 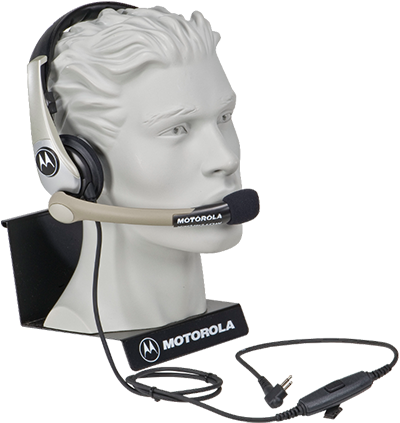 MOTOROLA, MOTO, MOTOROLA SOLUTIONS and the Stylized M Logo are trademarks or registered trademarks of Motorola Trademark Holdings, LLC and are used under license. 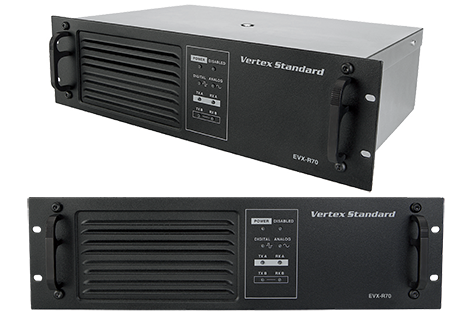 ©2014 Motorola Solutions, Inc. Vertex Standard Authorized Dealer and the Stylized VS Logo are trademarks or registered trademarks of Vertex Standard and are used under license. ©2014 Vertex Standard, Inc. Pontiac Commercial Historic District, N. and S. Saginaw Street image courtesy Wikimedia Commons. Author Andrew Jameson 18 September 2010. All other trademarks are the property of their respective owners. All rights reserved.